Baradit, Jorge. SYNCO . Ediciones B 2008. What if: The Pinochet coup never happened, Salvador Allende's presidency continued, and Stafford Beer's CyberSyn project came to fruition. 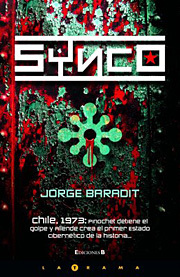 Summary: In 1979, all aspects of Chilean life are controlled by the SYNCO machine. Published: Ediciones B 2008 (9789563040562).